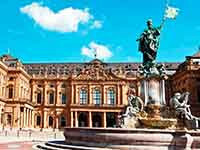 The city of Würzburg is the capital of the Lower Franconia region, and the fifth largest city in Bavaria. It is a very old and incredibly beautiful city. It is worth a visit also because here, in Würzburg, in 2009 IKEA store was opened.